Prior knowledge of enterprise business processes and their supporting information systems is helpful, but not mandatory. Completion of TOGAF® 9 Level 1 training or TOGAF® 9 Level 1 certification is a prerequisite for completing TOGAF® 9 Level 2 training. TOGAF® 9.2 provides an Architecture Development Method, Content Framework and Capability Framework that can be used as the basis for creating an organisation's Enterprise Architecture. In addition, TOGAF® 9.2 provides a variety of tools, building blocks and resources that facilitate the process and enable the design and development of Enterprise Architecture across four domains; Business, Data, Applications and Technology. 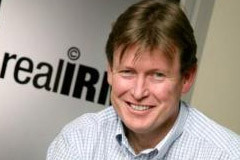 This Real IRM TOGAF® 9 Level 1 and 2 course is accredited by The Open Group. Delegates will understand the TOGAF® 9.2 framework and how to practically apply it to support the design and implementation of an Enterprise Architecture. 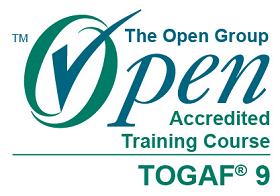 "The trainer is excellent and well versed in the TOGAF industry. Good humor." "The instructor is very knowledgable about the subject matter and examples are relevant and practical"
"Valuable and relevant to my current job." *** Delegates completing both TOGAF® 9 Level 1 & 2 during the same week or over consecutive weekends receive a combined exam voucher for TOGAF® 9 Level 1 & 2 certification.